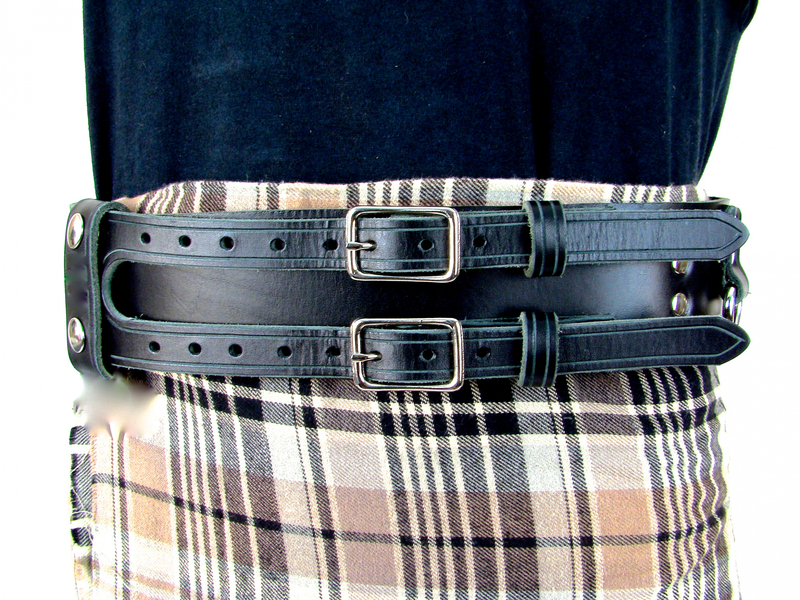 Kilt Belt Double Buckle Belt Black Leather Storage Loop D Ring Combo B | Holy Heck U.S.A.
You loved the Storage Loop Double Buckle Kilt belt and you loved the D Ring Add On Double Buckle Kilt belt, Holy Heck USA now has the perfect combination of these two sweet utiliy kilt belts! 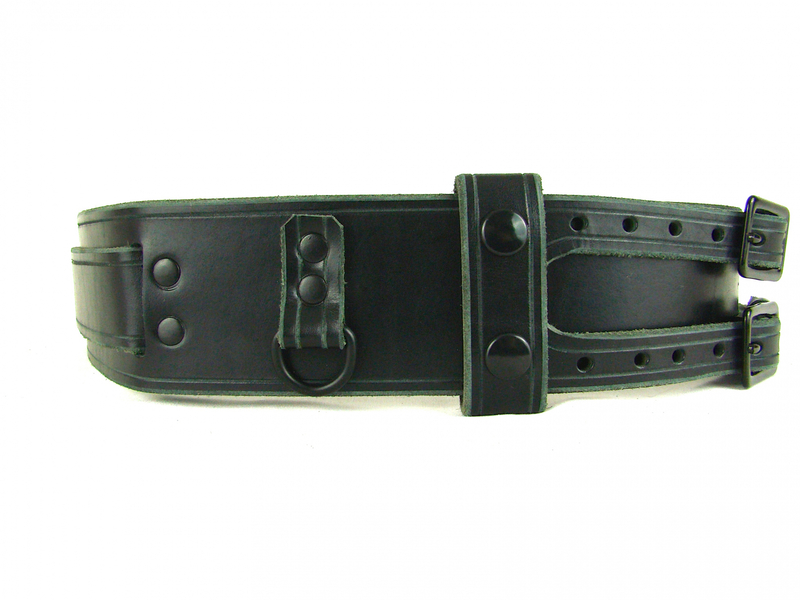 The belt is 2 1/2 inches wide and hand built with 9/10 ouce full grain leather. 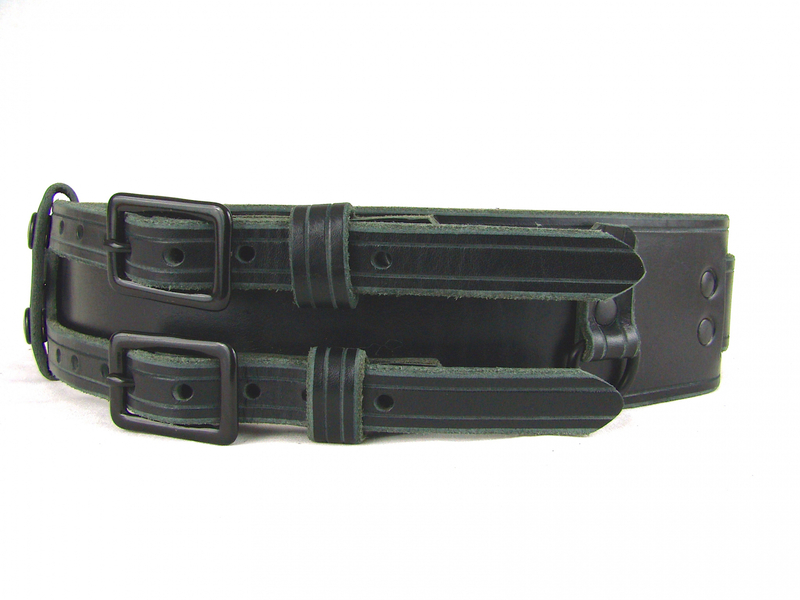 It has two leather storage loops integrated into the belt, two d rings riveted to the main belt body with leather loops, and a double snap hand sewn keeper. 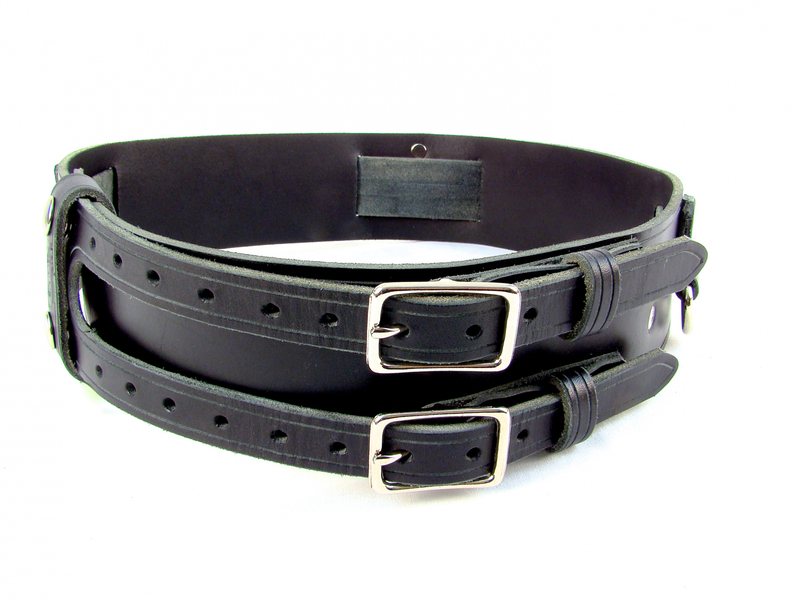 We are pleased to offer this highly functional leather combo kilt belt with nickel, brass or black hardware.